Water in the house leaves a large sediments. The kettle is once again replaced, the skin after the bath is irritated and cleaning takes time which can be spent on resting. In addition, the taste and smell of water leave much to be desired. How to deal with it? 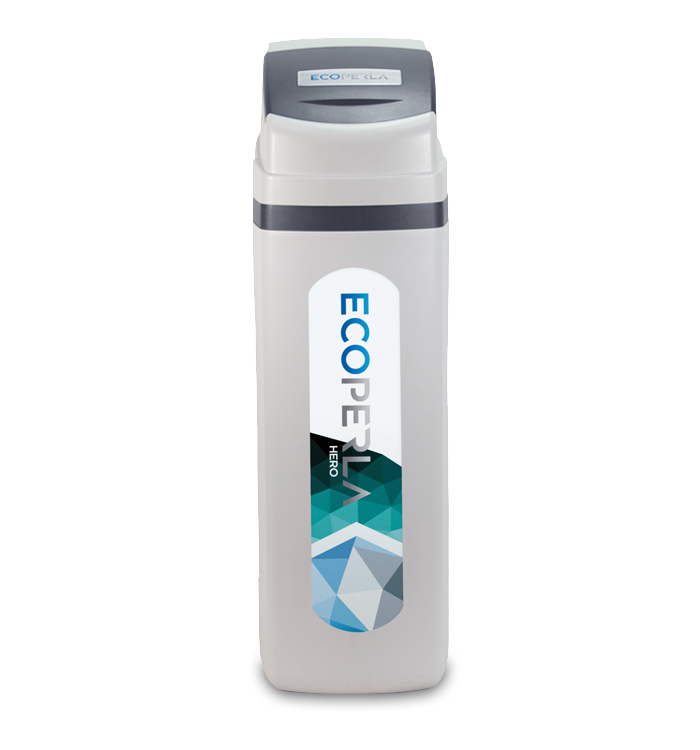 Ecoperla Hero is a real hero of every home in which not only hard water is irritating but also unsuitable taste and smell of water. Thanks to the combination of ion exchange resin with active carbon, these shortcomings of water will be only a memory. 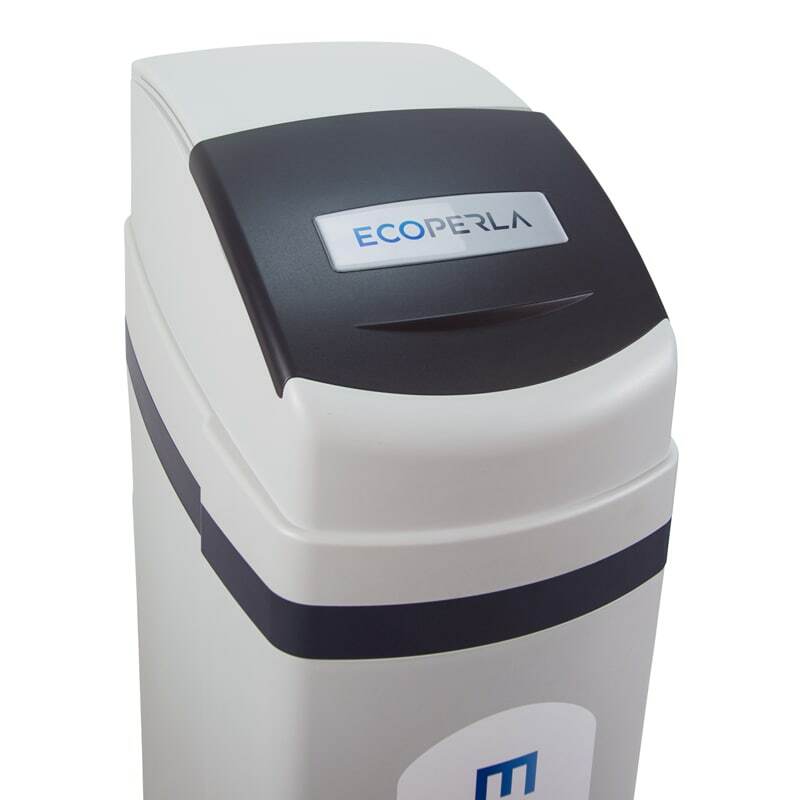 Ecoperla Hero is a real revolution on the water treatment market! 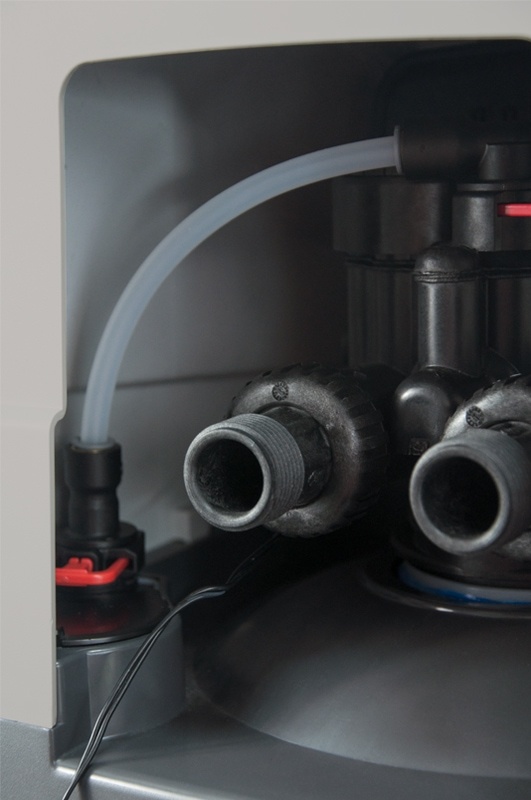 In the compact cabinet – the most perfect method of water softening by ion exchange and the functionality of the carbon column was combined thanks to the use of activated carbon. A total of 40 liters of bed is sufficient to meet the needs for treated water (even a large household). 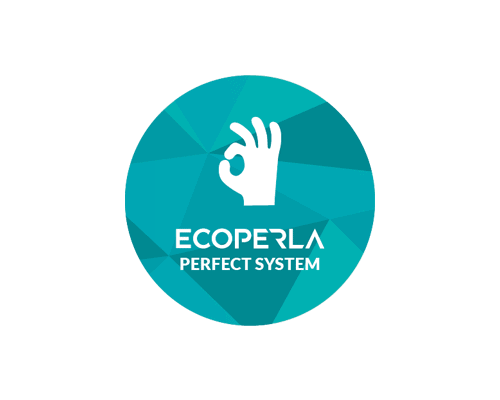 Ecoperla Perfect System is a professional control valve settings system combined with upflow. It was created and refined by Ecoperla experts with many years of experience. 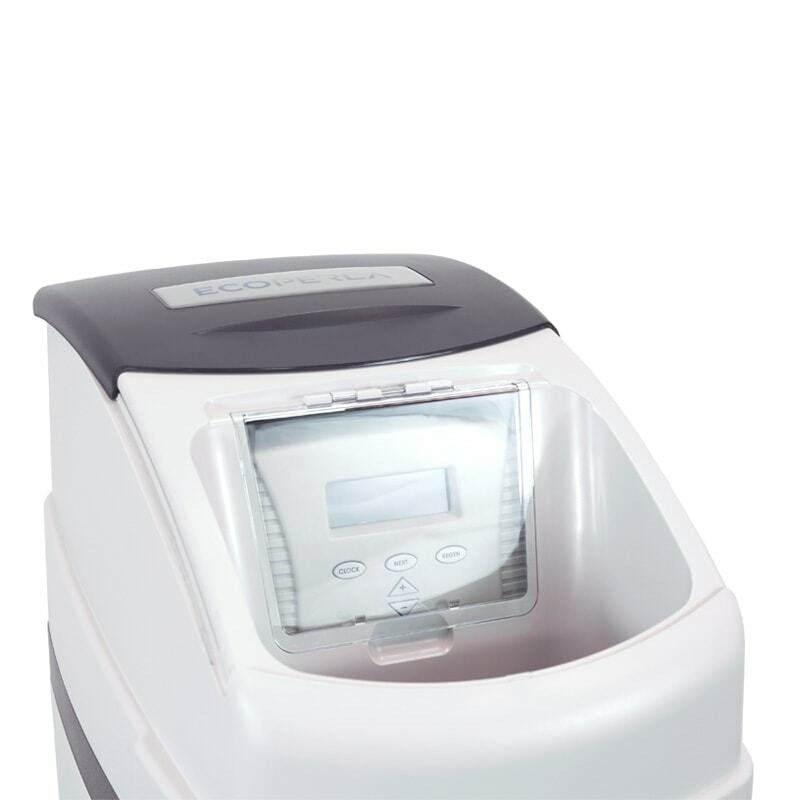 It enables extremely economical and sustainable operation of the device. 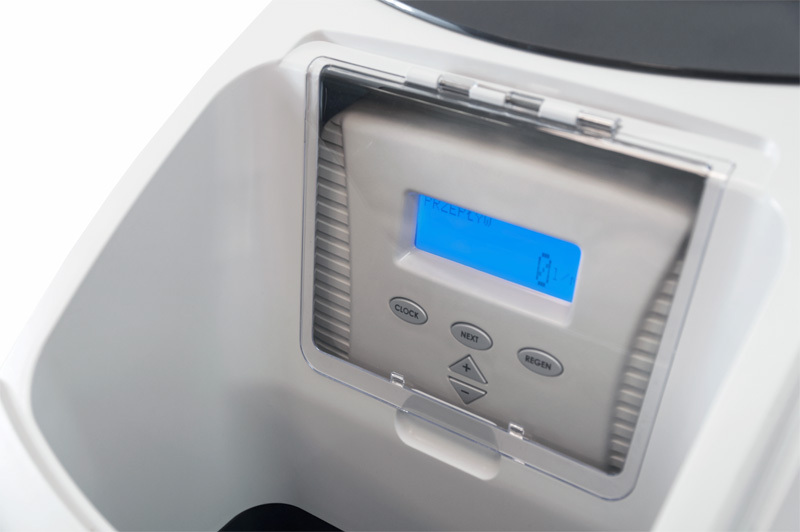 Ecoperla Hero due to its dimensions can be mounted even in a small boiler room. The cabinet is made of durable plastic – thanks to it it is resistant to mechanical damage, cracks. 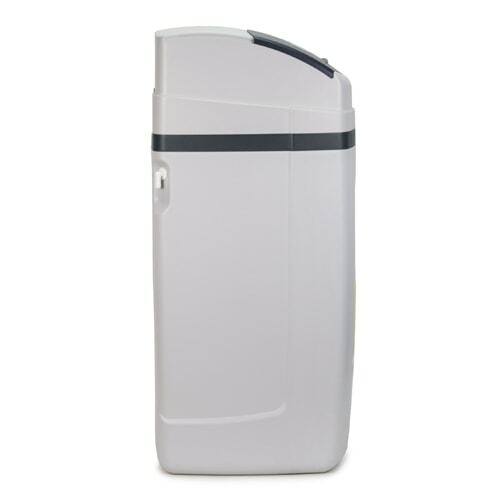 The design of this unusual water softener has been thought out to serve best experience to the end user and at the same time increase comfort during the basic operations. A single sliding cover leads to the control panel and the brine container. The salt container was placed at the front which makes it much easier to replenish the regenerant. The panel is protected by an additional, transparent cover. Thanks to this, there is no chance of getting dirty or destroyed. The Clack control valve was connected directly to the panel. The device is programmed at the factory so the end user must enter only basic data. Ecoperla Hero requires only regular refilling of the tableted salt. 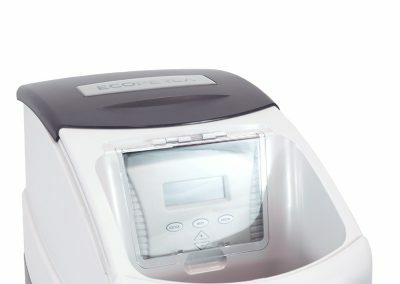 Ecoperla Hero is a great solution for people who want to use the highest quality water which is not only soft but also tasty. 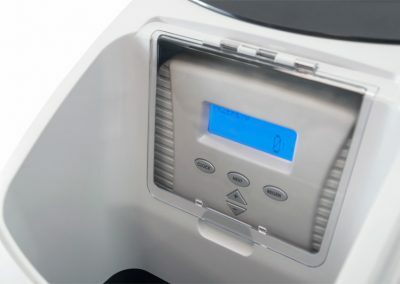 The device works well in places where it is not possible to mount the water softener separately and the carbon column or filter because of the lack of conditions. The Ecoperla Hero filter bed consists of two layers – silver activated coconut activated carbon produced in Italy and the monospheric Lewatit ion exchange resin. Water flows through the beds in layers. First through activated carbon then through a softening bed. Ion exchange resin reduces the high degree of water hardness whereas active carbon improves the taste and smell of water by eliminating chlorine, pesticides, disinfectants, heavy metals and organic compounds. Regeneration takes place via the UpFlow flow. The components were selected in such a way that during this process both beds are thoroughly regenerated but do not mix. 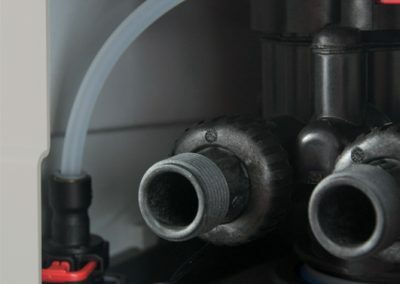 The combination of an ion-exchange resin with active carbon not only provides excellent filtration effects (thanks to such treatment it is not necessary to use filtering jugs or reverse osmosis systems), the carbon protects the softening bed from undesired impurities and prolongs its life. 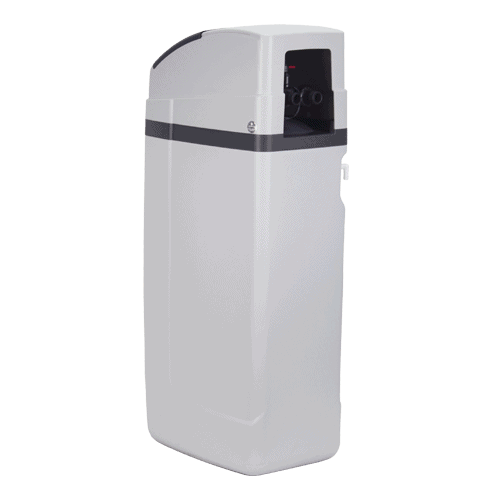 System’s description in a nutshell in other words everything that You need to know before purchasing the water softener with activated carbon Ecoperla Hero. 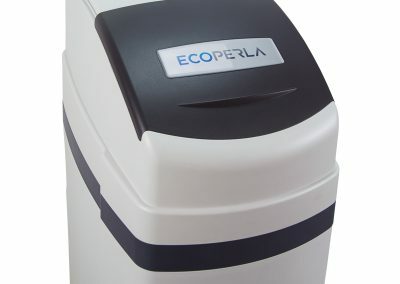 Practical information and technical data about compact water softener with activated carbon Ecoperla Hero. The softener’s manual containing most important information about the installation.